More and more countries demand that the European Union changes the protected status of large carnivores. The Flora-Fauna Habitats directive and Bern Convention protects the bear, wolf and lynx currently. But growing populations of the large carnivores cause concern especially amongst livestock owners and hunters. A coordinated lobby continues to demand that the EU changes the protection, to allow ‘management’ of these species. Until now, the European Parliament has not changed their mind or the protected status. But what happens if it does? The legal paperwork of strictly protected species is a complex situation. Situations differ even per country in Europe, so we will not go into too much detail. There are European rules that each country has to follow, yet there are exemptions that allow killing of strictly protected species nevertheless. Most of these exemptions focus on so-called ‘problem individuals’. If an individual causes dangerous situations for humans, authorities can always kill this individual. The challenge is a common definition what we define as a ‘dangerous situation’. Several countries have law that allow annual killing of wolves. The killing, also called culling, is often justified to maintain a favourable population status. What does that mean? It means that the population does not decrease to such an extent that over the next 100 years, it it likely to collapse. For example in France, the French National Wolf Plan help farmers more than wolves. Also, French authorities allow culling of young wolves to prevent increasing conflict. 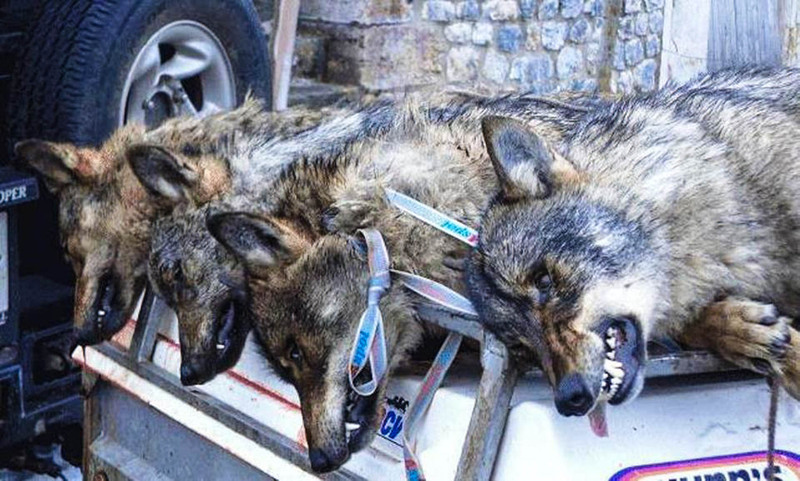 Italy allows culling of wolves that supposedly have cross bred with domesticated dogs. In Norway, hunters killed more than 50% of the wolf population last winter, despite major protests for civilians and organisations. Even a court case in Oslo rejected the protest against killing of wolves. Other countries include Slovenia, Romania and Spain. The situation in Spain is one of the best examples why culling causes other problems. In specific regions of Spain, authorities allowed culling of wolves. Although it seems that the culling will be suspended temporarily, many wolves died not because of culling, but because of poaching. So, coming back to the European Union. What if the EU Parliament decides to change the protected status of large carnivores? It would become easier for countries to implement annual culling of these animals, which lead to increased poaching numbers. Within a handful of years, local populations will decline dramatically. When population levels are so low that the EU has to intervene again to ensure the survival, we get back to square one. So instead of trying to find a solution that involves killing, let’s focus on a solution to coexist.